Sharing a presentation after converting it to Video format will protect your presentation from being modified or edited. Your content is now more secure than before. 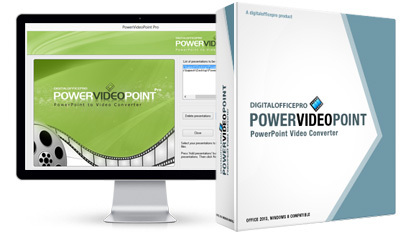 PowerVideoPoint supports batch conversion which comes handy when you have large number of presentations to be converted to popular video formats. By converting your PowerPoint presentation to Videos, you are creating an mind blowing digital signage content in the familiar PPT environment. Need not hire costly Graphic designers anymore.